When most people think of Micato Safaris, they envision a luxury safari tour that has won Travel + Leisure’s #1 World’s Best Safari Outfitter award 9 times. While researching this post I couldn’t help but spend time looking at the gorgeous photos of lush African landscape and animals in the wild that fill the Micato Safaris’ website. But what does all this have to do with Pay it Forward Friday? 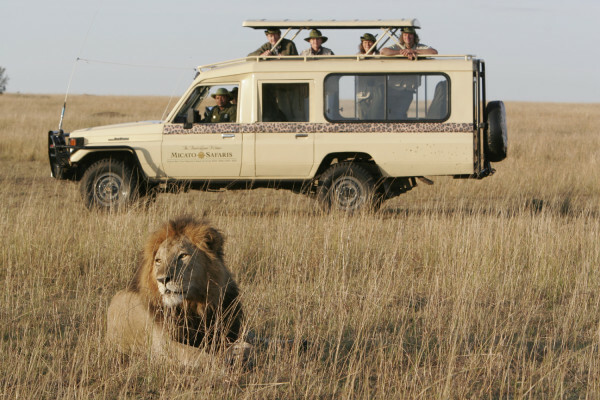 Micato Safaris is not only a luxury safari tour company but is the founding provider of an awesome organization called AmericaShare and the winner five-time winner of the Condé Nast Traveler World Saver Awards. AmericaShare was founded more than 25 years ago. In 1986, a 6 year old boy approached a Micato Safaris employee looking to raise 700 shillings ($15 US) to be able to buy a school uniform so he could go to school. The employee gave the boy all the money he needed and after doing so realized that there were many more children just like him that needed help. Today, all of AmericaShare’s programs are based in the Mukuru slum of Nairobi, Kenya. AmericaShare’s administrative costs are wholly funded by Micato Safaris making sure 100% of donations go directly to AmericaShare’s programs. If you have heard of Toms, the shoe company, you know about their one-for-one commitment to send a pair of shoes to a child in Africa for every pair sold. Upon hearing about this commitment, Micato Safaris, was keen to do the same but wanted to align the idea with their past practice of providing education to children in the Mukuru Slum. They decided that for each safari purchased from Micato Safaris, they would pay all the school fees for a child from the Mukuru Slum. Although school is free in Kenya, 62,000 children from the Mukuru Slum are unable to attend because the additional fees are out of reach for families living in the slum. 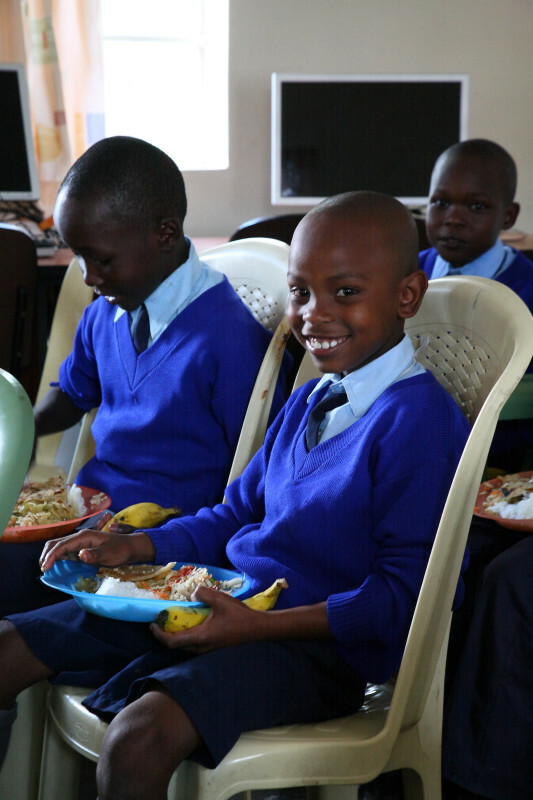 For each safari purchased, Micato Safaris pay fees for one child that cover the child’s desk, uniforms, books, supplies, term exams as well as a portion of the cost of firewood and salaries for the lunch cooks. Travellers can chose to make an even bigger difference by becoming part of the AmericaShare’s School Sponsorship Programme. 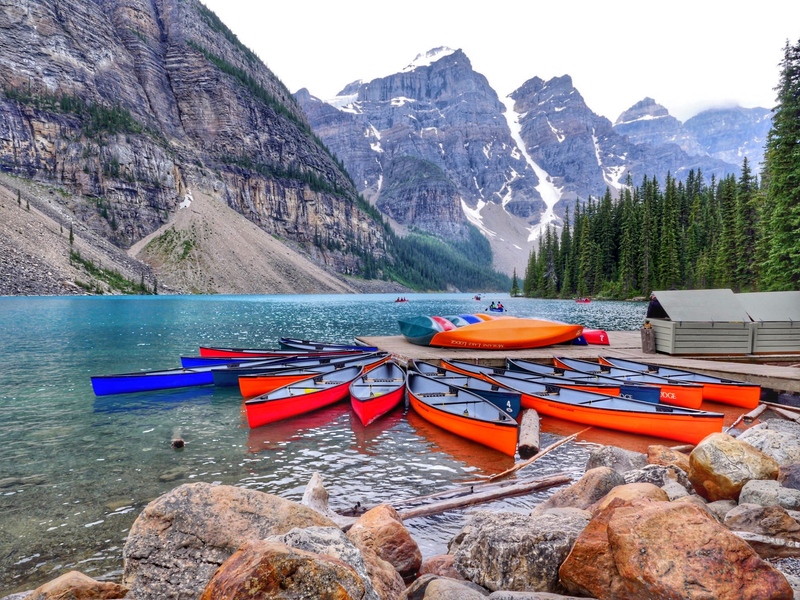 By committing to give $1650 a year, donors and past travellers have been able to help send individual children to boarding school where they also have access to things we take for granted like food, shelter and running water. The amazing part of this program is how many people chose to participate after meeting an individual child during a visit to the Mukuru Slum. There is often an initial connection made between the sponsor and child and by the end of their education the child is considered a member of the family. Built with the donations of Micato Safari travellers, the Micato-AmericaShare Harambee Community Centre is a centre for education in the Mukuru Slum. 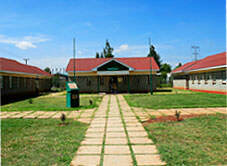 Residents gather for lectures, education sessions and meetings as well as HIV/AIDS education and job training. It is also one of the only places in the slum with a borehole that delivers a regular supply of fresh water. To add to this, there is also a Lending Library and a Computer Learning Centre and recreational facilities. 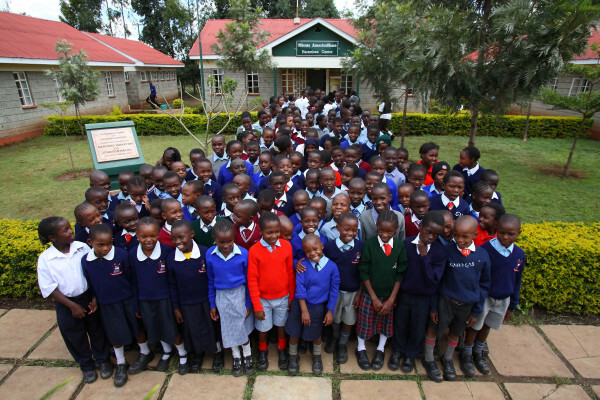 Amazingly, these are just some of the projects funded by Micato Safaris and AmericaShare. You can click here for a list of all of the ongoing projects. One of the greatest impacts you can have is to consider booking your dream safari through Micato Safaris. You will not only experience the vacation of a lifetime but pay for a child to go to school and most importantly change a life. If you cannot book a safari but would still like to help, you can sponsor a child or give a general donation from the comfort of home. Photo Credit: All photos for this post were provided by Micato Safaris. Fab idea! Anything concerning education for kids is a top priority nonprofit for me. I’ll be sharing. What a great initiative. Africa has been a place I have long dreamed of visiting, and the idea that my trip could benefit the local community is certainly appealing! What an amazing opportunity – I love when companies truly give back! We love hearing about great initiatives where anyone can contribute. We’re trying to get to Africa in 2015 and would love to go with a responsible tour operator that gives back to their local community. Great idea. Whenever I visit developing countries I always choose local operators or operators that give back to the community. What Micato is doing is amazing!